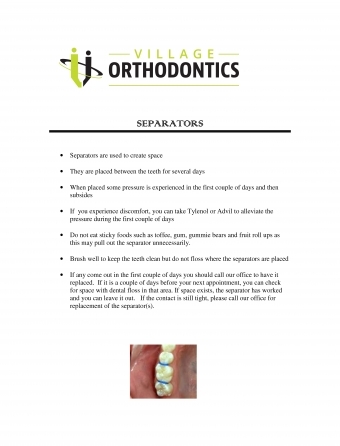 What are separators used for? What do I need to know about them during my treatment? this may pull out the separator unnecessarily. If any come out in the first couple of days you should call our office to have it replaced. If it is a couple of days before your next appointment, you can check for space with dental floss in that area. If space exists, the separator has worked and you can leave it out. 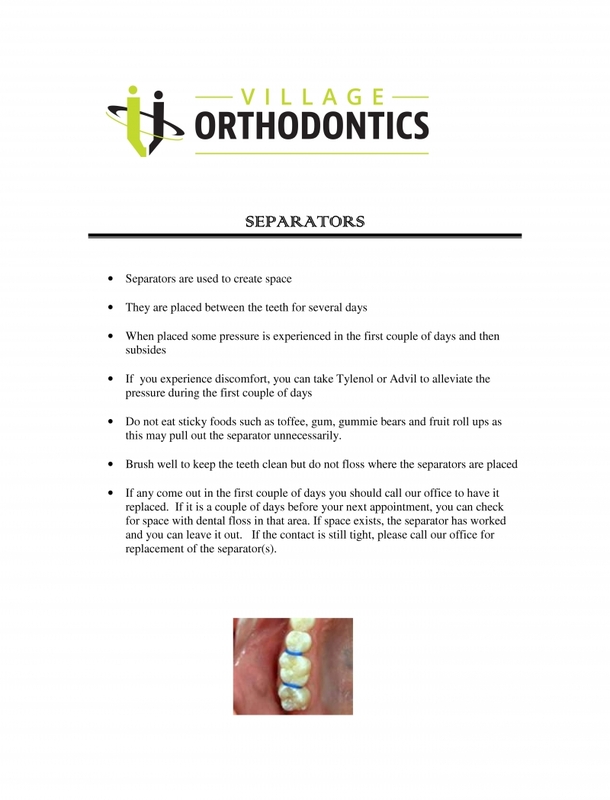 If the contact is still tight, please call our office for replacement of the separator(s).